I'm a deal-seeker. 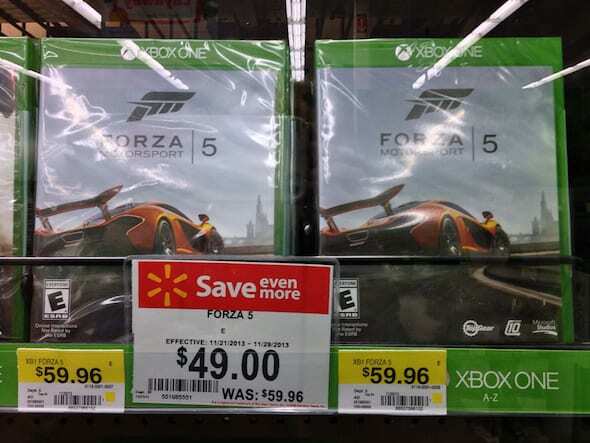 That means I'm always looking to either spend less than an advertised price or get something extra with my purchases. In short, I want to get the most for my money! Snacks and video games aren't my usual combination that produces a great deal, but I have an exception to share! I have a lot of people on my shopping list this Christmas, which means it's even more important to figure out the best deals, coupons and gifts with purchases to spend less and while get as much as possible. The kids on my shopping list range in ages from 3 to 14. I hate to say it because I generally don't buy into gender stereotypes, but the girls I need to buy Christmas gifts for are easy because they go for those typically girly items. Dresses, jewelry, swimsuits, glittery craft sets and carefully-selected princess items are almost guaranteed to be well-received by my daughter, my nieces and my cousin. It's true that both boys and girls will get excited for any new video game that works with their video game console, but I find myself giving video games to boys only because I can easily find so many other gifts for the girls in my family. I took advantage of a great Buy, Snap, and Redeem promotion going on at Walmart right now because it let me get two gifts and something for me! 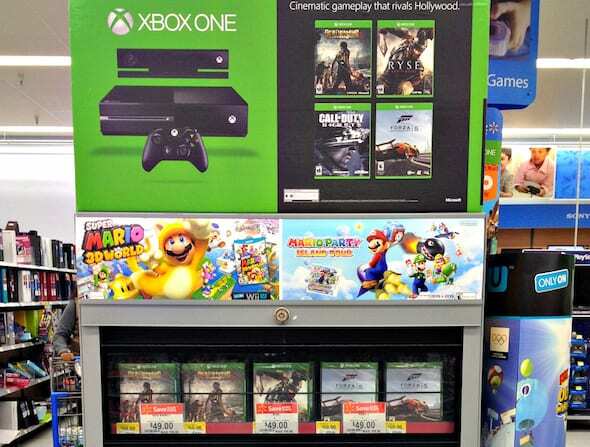 I bought the Forza Motorsport 5 Xbox One game for one of the boys on my list, a bag of delicious Pretzel M&M's for my husband's stocking AND I could get a $10 Walmart egift card (via text message!) after I bought the game and the candy on one receipt! 1. 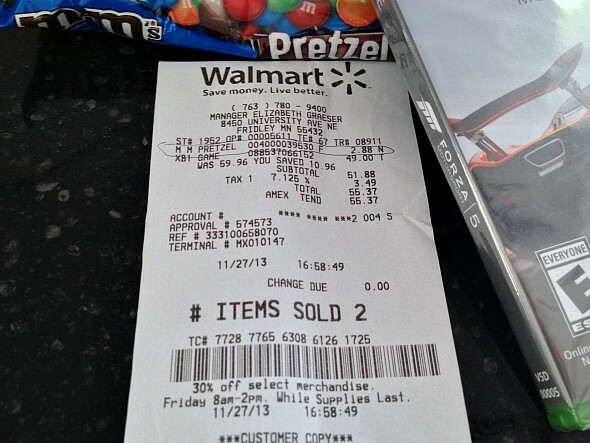 I bought the Forza Motorsport 5 Xbox One game and Pretzel M&M's on one receipt at Walmart. 2. 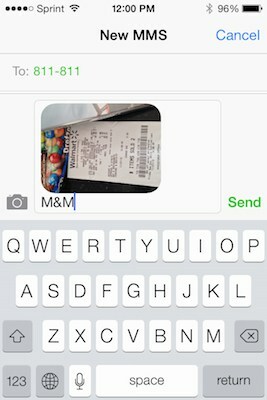 I circled the M&M's on the receipt, then snapped a photo of the entire receipt on my iPhone. 3. I then texted the picture and the words M&M to 811811 and waited for my eGift card! I'm hanging my head in embarrassment right now because I somehow bought the wrong bag of Pretzel M&M's. I should have bought the 15.4oz large bag of M&M's but I inadvertently grabbed the smaller bag at the store. You can see that I even snapped a picture of the correct size of M&M's, so I have no idea what I thinking! Needless to say, I didn't score quite as big on this deal combination as I had anticipated, but you can if you buy the correct size and kind of M&M's listed on the BetterWithMOffer.com page! Since I'm a big fan of M&M's I'm also excited to enter and see the entries in the M&M's Pixel Art Sweepstakes! 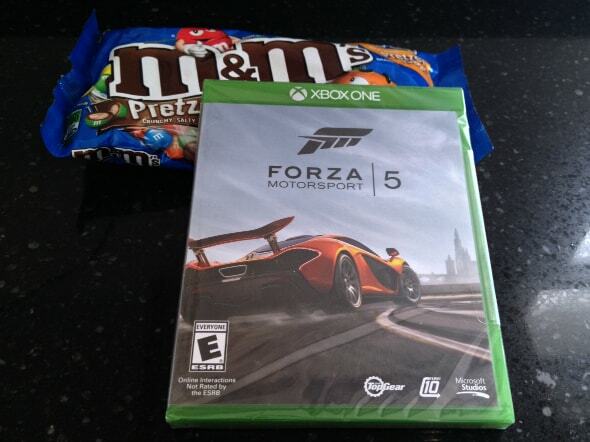 One randomly selected blogger will win an Xbox One gaming console, the Forza Motorsport 5 game and a 14oz bag of M&M's candy! 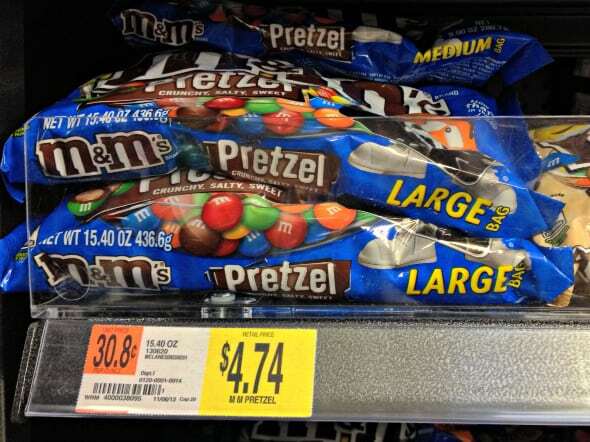 Love the Pretzel M&Ms. We got the Forza Five game as well, and having to hide it so hubby doesn’t guess I am getting him an Xbox One when I can find one! 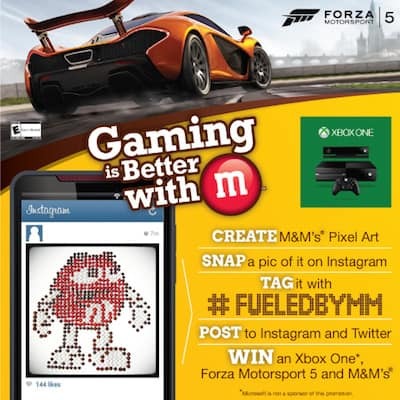 Ashley, don’t forget to enter the #FueledByMM contest–you just might win an Xbox One!